Contship Italia has revealed that cut-throat competition from North African ports has led to a dramatic decline in transhipment volumes at Italy’s largest port, Gioia Tauro. 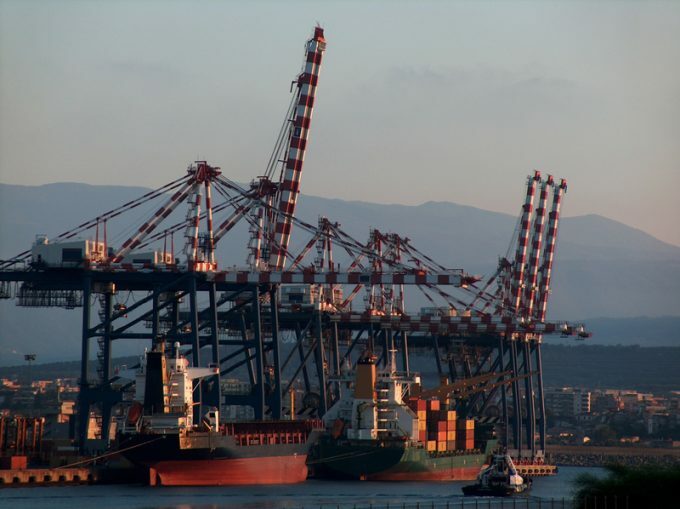 The port is locked in an intense battle for transhipment traffic with other hubs, such as Malta and Piraeus, as well as the emerging facilities at Port Said at the north end of the Suez Canal. The port operator’s marketing and communication director Daniele Testi told The Loadstar that volumes at Gioia Tauro, located on the tip of Italy’s toe, have dropped by almost 1m teu since 2008, to 2.8m teu. He said this was largely down to carriers looking to streamline business costs, leaving the port with stiffening competition from its neighbours. Instead, Contship has focused on building up volumes from northern Europe, with several large investments in its intermodal and rail facilities. The port operator also recorded 10% growth in its logistics business between 2015 and 2016, and Mr Testi expects a similar performance this year. Over the past two years, the operator has been pushing its Rail Hub Milano facilities, which, following a €45m investment, provides mainland Europe with 7,000 trains’ worth of rail cargo. Since 2008, Mr Testi said, this has changed, with more private firms investing in rail. In the past nine years, volumes of freight carried by rail have increased by 37%. Despite the difficulties being experienced in Gioia Tauro, the company is nonetheless expecting a buoyant 2017 and predicts healthy growth in terminals and logistics activities over the course of the year. Last year saw the terminal operator increase volumes by 1.7% to 6.4m teu. More than 80%, or 5.2m teu, was handled by its Italian ports, equating to 50% of the country’s container shipping volumes. The company also owns a stake in Morocco’s Tangier Med facilities.